Need a nice warm hug? Innisfil is here for you! 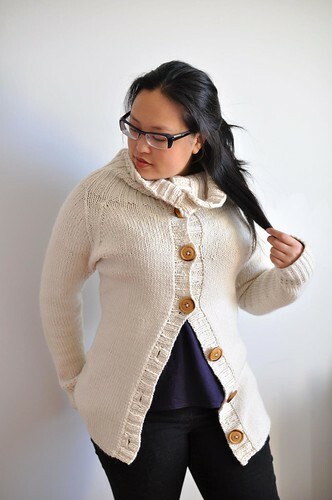 Cozy up by the fire (or laptop) in this chunky cabled cardigan with big buttons and a deep, snuggly ribbed collar. 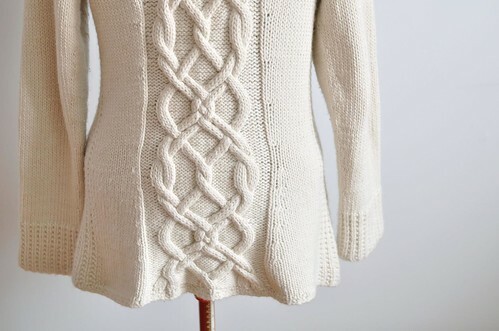 The large-scale Baroque Cable panel is fun to knit and delivers huge visual impact! The longer length and fully fashioned waist shaping are super flattering and easy to wear, perfect for a heavy winter layer or fall jacket. Innisfil is worked seamlessly from the bottom up with full length sleeves knit in the round, raglan shaping, garter rib side panels and ribbed buttonbands. Meant to be worn with zero or positive ease, 0-3” / 0-7.5cm. For a close fit as shown, make the bust size closest to your high bust measurement (just below underarms). For a looser fit, choose one size up. Shown in size 36” / 91cm with zero ease. 7 page PDF pattern includes cable (charted only), Imperial and Metric measurements, schematic and abbreviations. 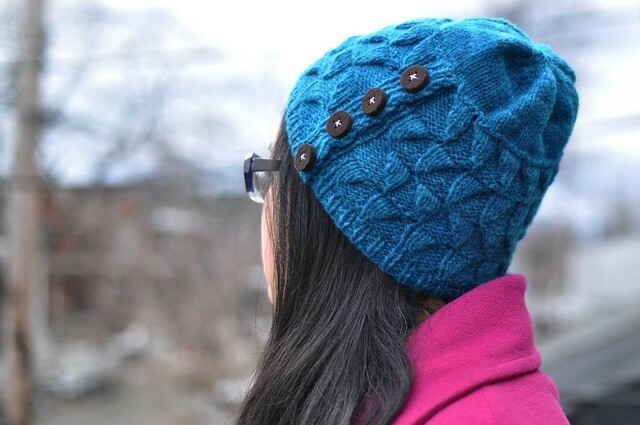 Skills needed include: knit and purl, following a cable chart, picking up stitches, short rows. Chunky weight yarn. Shown in Blue Sky Alpacas Worsted Hand Dyes, colour 2003 - Ecru.